Climate change presents a challenge to our youth but also offers opportunities for interventions that are yet to be recognized. Despite the perceived and real risks and differential adaptive capacities among our youth, we often overlook existing examples of youth contributing to climate change adaptation as well as broader development processes. Current Jamaican education falls far short of preparing the country for the challenge to transformation of the nation’s technological infrastructure. The generation of technology and the generation that will face the climate change impacts in their entire life cycle going forward are those now 35 and under. The youth are the present and next generation. There is a need to address the societal aspects as it relates to learning activities and programs to prepare scientists, engineers, policymakers, and the public to address the challenges. The youth of Jamaica have a shared interest in supporting Jamaica’s schools and communities, in reducing carbon emissions, realizing economic benefits of reducing energy consumption and building resilience by adapting to the future impacts of climate change. They need to be educated to become a more effective change manager by applying social learning techniques and tools to help mitigate the environmental degradation. Jamaica need to advance the mission of climate change education partnership through exemplary climate change education (research). The goal of the climate change partnership is to develop a national schools network to catalyze, transform, and enhance education on the issues of climate change, including issues of governance, sustainability, justice, trust, and public engagement, to prepare current and future engineers, policymakers, and the public to meet these challenges. Environment problems in the time of industrialization and urbanization in these years has come up with intensive competition in waste management investment in Vietnam. According to the City Deputy Prime Minister, every day at the cities in over the country release about 33.000 -35.000 tons of trash, but the percent of trash collection is just 83%. In the countryside, the wash is less, everyday releases about 28.000-30.000 tons but the collection percent is very low, about 40%. There are about 458 landfills in over the country, just about 26.5% have reached environment standards. The other wastes wasted into rivers, seas that harm to many creature lives. The majority of the respondents from Ho Chi Minh City use oil as their major source of moto vehicles, wood/paper as family burning fuel, chemical fertilizers in crops. Today we eat less food and more chemicals. The hotter seasons are coming in Ho Chi Minh City. Bushfires, bad farming practices, urbanization and deforestation are the major human causes of climate change. Jamaica need a program aimed at assisting the youth in understanding the impact of global warming today and increase "climate literacy" among young people. This program must support strengthening the capacity of schools to assimilate quality climate change education; encouraging innovative teaching approaches to integrate climate change education in schools and by raising awareness about climate change as well as enhancing non-formal education programs through media, networking and partnerships. Research and case studies show that children and youth can be strong advocates, helping their families, schools and communities adapt to climate change. A study by Plan International suggests that children are often more knowledgeable about climate change impacts than adults, based on information learned at school or from accessing environmental resources through other media and communication sources. For, health, it is a state of complete physical, mental, and social well-being and not merely the absence of disease or infirmity. (World Health Organization definition) Climate change has both direct and indirect impacts on human health. Various studies have shown that some of the main killers of children are highly sensitive to changes in the climate. For example, temperature increases have been linked to increases in the burden of malnutrition, cholera, diarrhea, and vector-borne diseases like dengue and malaria. Heat waves can also be tremendous burden on individuals whose jobs are done in the open environment especially during day time hours. The livelihoods of many in developing countries are impacted by climate change through the effect of these diseases reducing productivity or otherwise destroy infrastructure. 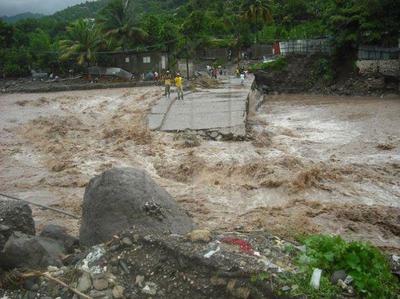 Agriculture is one such sector in Jamaica that has been hit by the impacts of climate change on multiple levels. These include damages incurred by hurricane: flood, and wind damage, drought and increase pest damage. This impact on the ability for countries like Jamaica to maintain its food security and ultimately Jamaica’s food import bill which could have a profound effect on the nation’s nutrition. Effective climate change action will require meaningful local participation down to the grass roots level. This can only be achieved by improving the effectiveness of global governance through enabling constructive community participation in governance on important issues. Increased participation of business owners and health care providers among others can accomplish more effective and efficient development, increased equity, legitimacy, transparency and accountability, and enhanced diversity and resilience. Governance of climate change adaptation needs a thorough connection to local knowledge, innovations and perspectives, an area that can be significantly improved with the voice of the people. 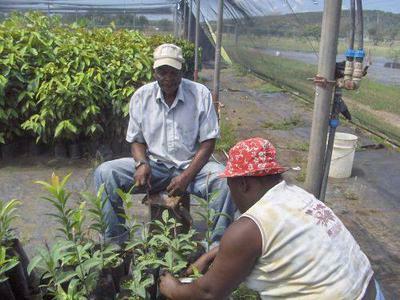 Jamaica needs to garner more support from the international community to help establish Social and Eco-friendly Enterprises to help in the battle against climate to provide some the services to mitigate and to adapt to climate change that the government cannot do in quick succession.